The “A” List: We frequently receive requests from colleagues, clients, and journalists for recommended reading lists on topics covering our expertise in UX design, usability research and human factors engineering. These requests prompted us to pull from our research library (yes, we still have real books) 30+ books which our professional staff felt should be considered primary conceptual literature for anyone well-read in the theory and practice of UX design and research. A Surprising List: When we pooled the selected books for inclusion, we were a bit surprised. Most of the selected texts were published some time ago… in some cases, our selections were out of print. This set us to thinking: Why did we end up with books representing the best theory on UX design published before the term was even invented? The answer resides in the fact that UX design, as we define it, encompasses a vast field of human-machine interaction variables covering cognitive processes, decision-making, task design, information architecture, graphic design, interactive brand development, market research, retail store design, product design, web design and at least a dozen other primary fields of expertise. Where to Start: UX design is by definition a vast and overlapping set of expertise areas that find focus based on the nature of a specific UX design problem. Therefore, to be well-read on this subject actually requires reading very diverse professional literature. The following 30+ books are those we consider the best general expositions on a given topic area that we know from professional experience is functionally or theoretically applicable to UX Design and Research. It may come as a surprise to those of you who came to UX in the last decade that there was a vast and teeming world of man-machine science and related research before there was anything like the iPhone or even the Internet. Our list is as much about the history of man-machine design as it is about the future of UX. Please Note: We have reviewed many UX-specific books for this list but have found that most of the new texts, including several popular books on UX design, are not nearly as useful as the original texts on which they are based. Most of the books on our list can be easily found online at Amazon.com or at other online sources. Many are out of print but not out of sight. If you purchase any of these books from Amazon or any other source, we do not receive any compensation. If you have books you feel we missed, send us a comment and if we agree with your suggestion it will be added to the list with a citation. We view our list, like our associated list of important recent papers on UX, as a living entity. Finally, if you are an author and your book(s) is not on the list, please do not send us a snarky comment. We will simply ignore it. Shaun Smith & Joe Wheeler, 2002. Summary: Smith and Wheeler illustrate their book with real examples of companies that have successfully followed their mantra: “Experience is everything.” The text addresses both “branding” and “experience”– what they are, how they are different, and how to use them both to enhance management and marketing. 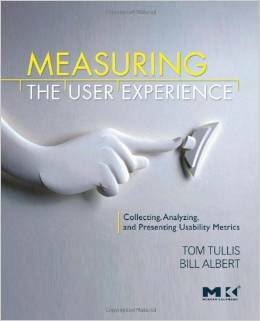 The book is based on UX as a fundamental measure of success. There are dozens of other books of similar content but more verbose. Summary: “Design Thinking” has become a buzzword in many industries in recent years, but how does it actually help promote success in business, science, and the arts? This book provides useful case studies and practical guidance to use this new way of thinking to more easily access the path to innovation. Written by a Harvard professor, the text is dry in places but strong on case studies. UX is a central theme linked to the design thinking methodology. Deborah J. Mayhew, Morgan Kaufmann Publishers, 1999. Summary: Deborah has several texts in circulation, all of which are good references. This new book is an excellent “how to” covering development and execution of usability programs. It covers the topic of “user-centered design” well and incorporates many excellent examples and case studies. 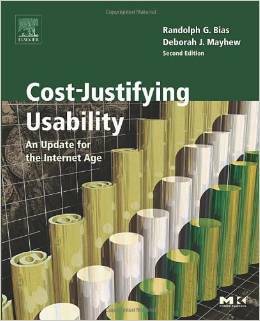 There is also an updated chapter on cost-justifying usability that is easy to understand and apply. Minimal detailed reference to UX, but the principles apply to all interface design problems. Jens Rasmussen; L. P. Goodstein; S. E. Olsen; H. B. Andersen, 1988. Loukia D. Loukopoulos, R. Key Dismukes, Immanuel Barshi, 2009. Stuart K. Card, Thomas P. Moran, Allen Newell, 1986. 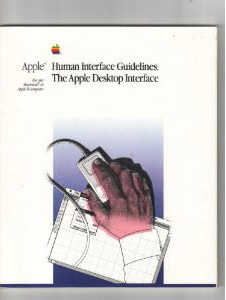 Summary: The single most quoted and cited text in the history of human-computer interaction design. These three scientists wrote the book on how to define and measure human performance in HCI applications. This book is based on their work at Xerox PARC and is the cornerstone of human behavior modeling in UX design solutions. 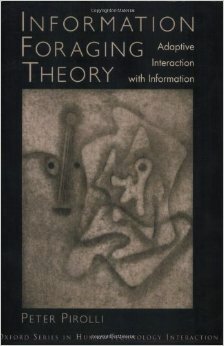 The text is the essential exposition of the GOMS method for modeling UX human-computer interactions. 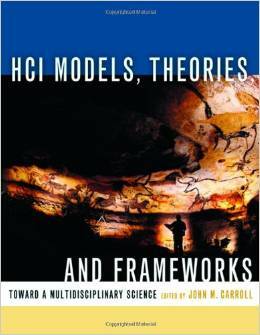 Generations of UX/HCI scientists built on this original work. The basic process model (GOMS) has been applied to thousands of complex UX/UI design programs over the past 20 years. (Considerable math and statistics… but hey, HCI (UX) is a science, not an art, after all). Summary: Even though Ricky Wurman is best known for founding TED and his mansion in Newport, RI, this text is believed by many to be an essential read for UX design and strategy. 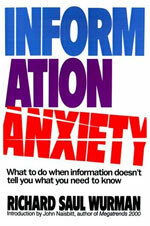 The book covers a very wide range of topics related to information design and presentation. It is a uniquely compelling, visually interesting book and arguably his best effort. The book is like Tufte, but without the attitude that design is unimportant. The book is an overload of relevant UX design concepts covering information design and interpretation. Many recent UX books attempted to built on Wurman’s approach and content structure. None did it as well. Tom Tullis and Bill Albert, 2008. Jens Rasmussen, Annelise Mark Pejtersen, L. P. Goodstein, 1994. Randolph G. Bias & Deborah J. Mayhew, Academic Press, Inc., 2005. Summary: In an appropriate disclaimer, we wrote a chapter in this book. However, we do not receive any fees when it is purchased. This is the only extensive text on the cost-justification of usability related to UX/UI design. Randolph and Deb have put together an excellent text that has a great deal of useful data on why usability engineering is not only good for the customer but also excellent for the bottom line. 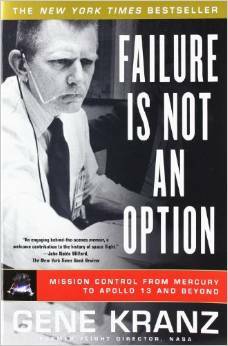 This should be on the shelf of anyone practicing or promoting usability engineering. Donald A. Norman, Currency/Doubleday, 1990. 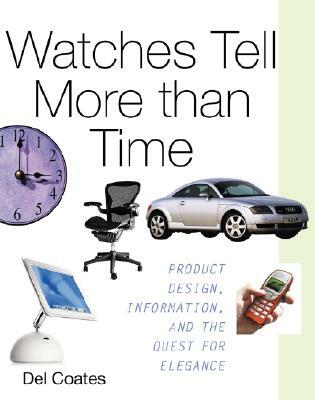 Summary: Donald Norman with his partner Jakob Nielsen have written many informative books. If you really want just one for your bookshelf I suggest this text. This text is easy to read, focused and very engaging. Essentially it presents an interesting view of the good and bad of design. 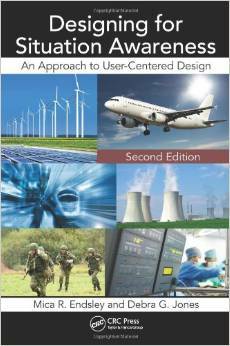 I would recommend it to anyone interested in reading about user-centered design (UCD). George R.S. Weir & James L. Alty, Academic Press, 1991. 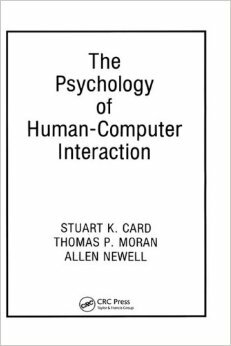 Summary: For anyone out there who really wants a look at the upper end of the human-computer interaction literature, this text is for you! This text is an excellent overview of human-computer interaction design for complex systems. However, it is helpful if you have a degree in math. The focus is almost exclusively on cognitive modeling for process control. Summary: Jef has written an excellent text on user interface design. 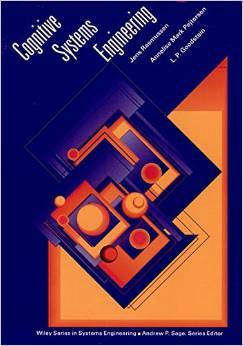 This book is especially helpful if you are interested in a step-by-step explanation of user interface design methods such as GOMS analysis, interface efficiency measurement, and Fitts’ Law. The book contains many interesting examples covering a wide range of industries. The strongest point of Jef’s book is in the definition of usability engineering methods as they apply to all types of interface design problems. Joseph W. Sullivan & Sherman W. Tyler, ACM Press, 1991. 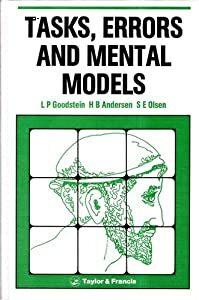 Summary: An excellent text for anyone with some basic coursework in psychology. This text covers several critical aspects of user interface design including multimodal communications, models, plans, goals, and dynamic presentation design. Included are many case studies with information that can be transferred to UX design. Paul Rand, Yale University Press, 1985. Summary: Over the last 35 years, Paul Rand was the seminal figure in the creation of visual branding for large corporations. He created many famous designs including the corporate identities for IBM, ABC, UPS, and NEXT, to mention a few. 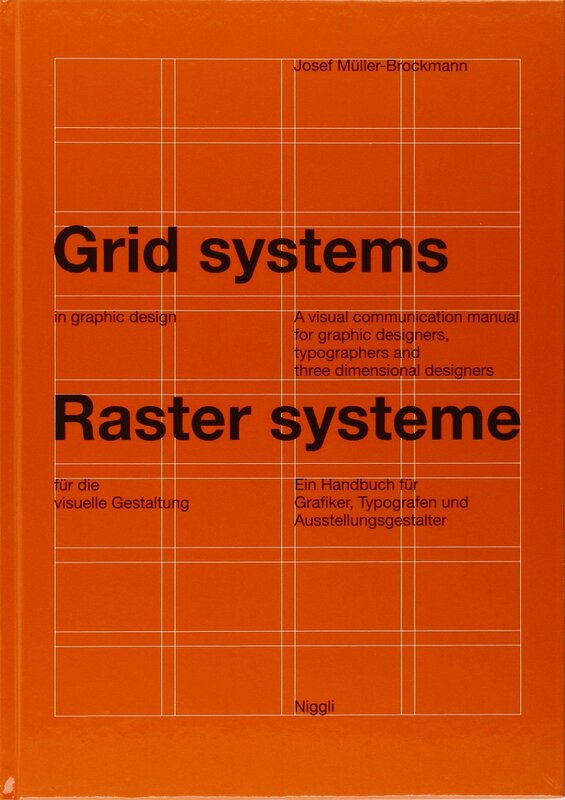 This text covers his design philosophy and presents many examples of his work. An excellent book by a world-class expert presenting core visual design principles backed up by the best solutions on the planet. Thomas Schutte, Univ. of Pennsylvania Press, 1975. 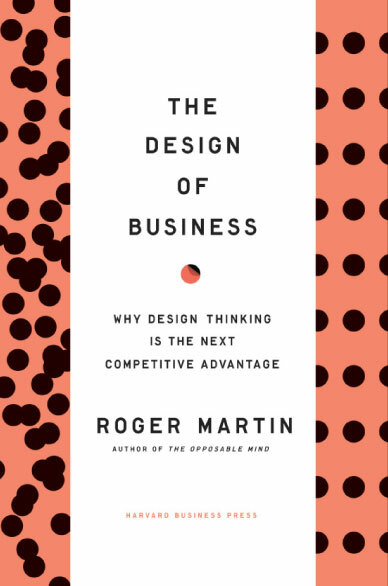 Summary: I am often asked by corporate CEOs, “What is the real business value of good design?” My response is often taken from this text, which is composed of a series of short chapters written by corporate leaders and designers from the 1970s. 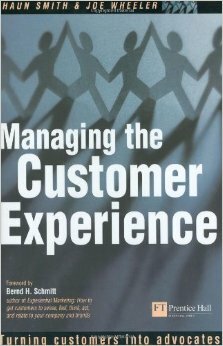 By far the best chapter was written by Thomas J. Watson, Jr., Chairman of IBM. The title of his chapter “Good Design is Good Business” says it all. This text is out of print but can be found at used bookstores. Yes, the photographs are out-of-date but the basic message is even more relevant today. David A. Aaker, The Free Press, 1996. Summary: This is the best text on brand building by one of the acknowledged experts in the field. Almost every principle presented in this book can be mapped onto UX design. Too bad more UX professionals have not read this book. There would be dramatically fewer giveaways and much more focus on quality customer experience design. Aaker’s other books are re-do’s of this material. Paco Underhill, Simon & Schuster, 1999. Summary: My friend Paco Underhill has created a very interesting and engaging book that attempts to explain what aspects of the retail shopping experience affect what products and services we buy and how we buy them. Although not truly a scientific presentation, it is based on many years of careful and structured observational research of shoppers navigating retail environments. A must-read for UX professionals. Summary: This book is the best-detailed text on task analysis (TA), the cornerstone of online user interface design, and instructional development. The authors include very detailed descriptions of what TA is and how it applies to instructional design. The principles presented in this text map directly to customer acquisition, retention and migration issues. Please note: this is a detailed and extensive discussion of the topic and is not light reading. If you really want to understand what goes into doing this stuff the right way, this is the book. No mention of UX per se. R. John Brockmann, John Wiley & Sons, 1990. Summary: A bit out-of-date but still an excellent text for anyone creating online documentation. Again, there is no mention of UX, but a still good presentation of methods and best practices covering user documentation. A significant portion of this book is dedicated to online documentation. Kevin Kelly, Viking Press, 1998. Summary: If you are going to read only one book about the “New Economy,” this is it. Hands down, Kevin Kelly nails it. Dozens of books that followed Kevin’s text are simple reinterpretations of his work. This book attempts to put into context what the “New Economy” is and why it is important. At the very least, it is well written and interesting reading. John Seely Brown & Paul Duguid, Harvard Business School Press, 2000. 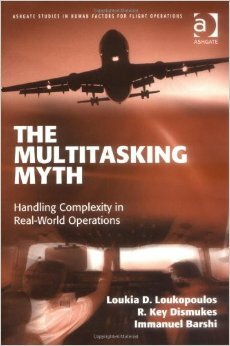 Summary: Written by one of the few true masters of human-technology integration problems, this book makes for generally excellent reading. John and Paul explore the overall role of social context in the creation of effective information technology solutions. Chapter Seven, “Reading the Background,” covers the social context of “paper documents” and their role in understanding how users actually file and organize information… not exactly an IT solution but very insightful. Thomas Kuhn, Univ. of Chicago Press, 1996. Summary: This book by the man who created the term “paradigm shift” is an outstanding text on how new ideas form, grow and mature to consume prior established ways of thinking and solving problems. The core theories behind this text form an excellent model for the growth of UX. Note: this text was written several years ago and does not mention UX. C.P. Snow, Cambridge University Press, 1959. Summary: For those of you who are really into the last word, or as it were, the first word, this book is really worth reading. The text is based on a famous lecture given by C.P. Snow at Cambridge University in 1959 in which he delineates that widening the gulf between science and art. Many have said that this is the seminal text that defines the increasing split between human needs and technology-based solutions. Katie Hafner & Matthew Lyon, Econo-Clad Books, 1996. Tim Berners-Lee, Harper San Francisco, 1999. Summary: The first half of the book is a terrific read covering Mr. Berners-Lee’s protracted and oftentimes extremely difficult task of creating the primary interaction model for the Web. It is hard to believe that he kept the project alive in the face of such opposition and poor funding. The second half of the book covering his view on the next evolution of the Web is much less interesting but still worth a quick review. For an excellent historical view of the Web’s early development, read this book and “Where Wizards Stay Up Late,” also on this list. Should McKinsey Design Retract Its “Business Value of Design” Report and Related MDI Index? PulseUX BLOG Visit our blog for insightful and interesting posts on a wide-range of design research topics. Some posts have had millions of page views. Copyright 2019 MauroNewMedia, Inc. All rights reserved.